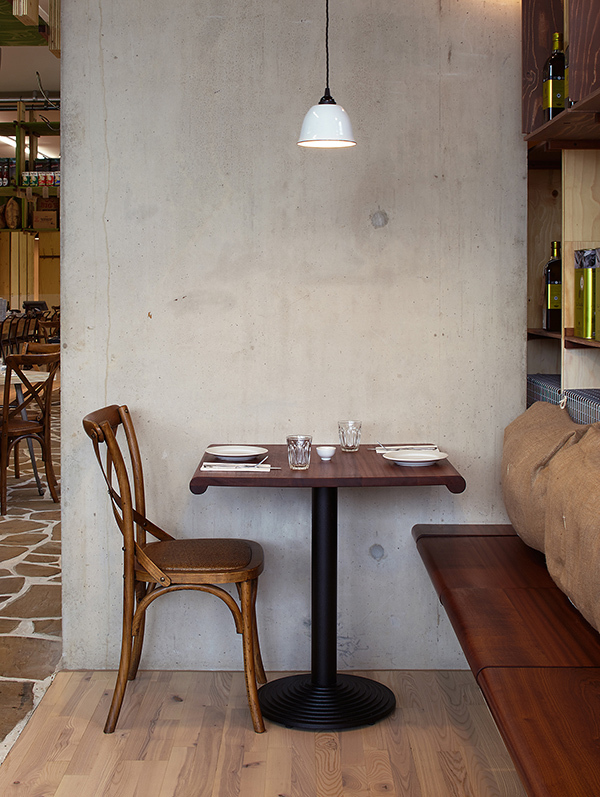 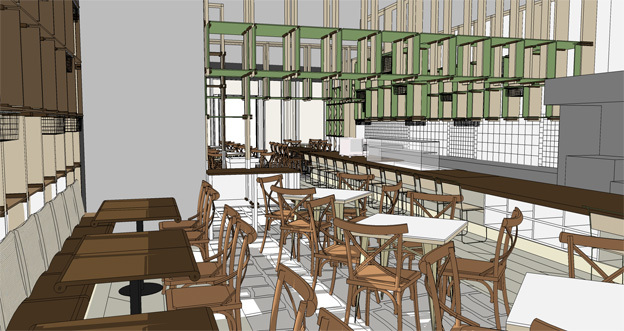 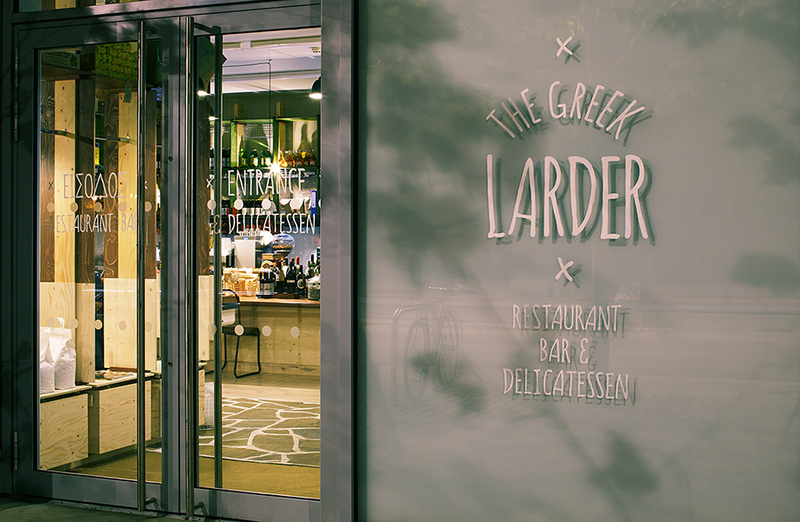 The Greek Larder is the latest venture of Theodore Kyriakou, the chef best known for launching Livebait and The Real Greek. 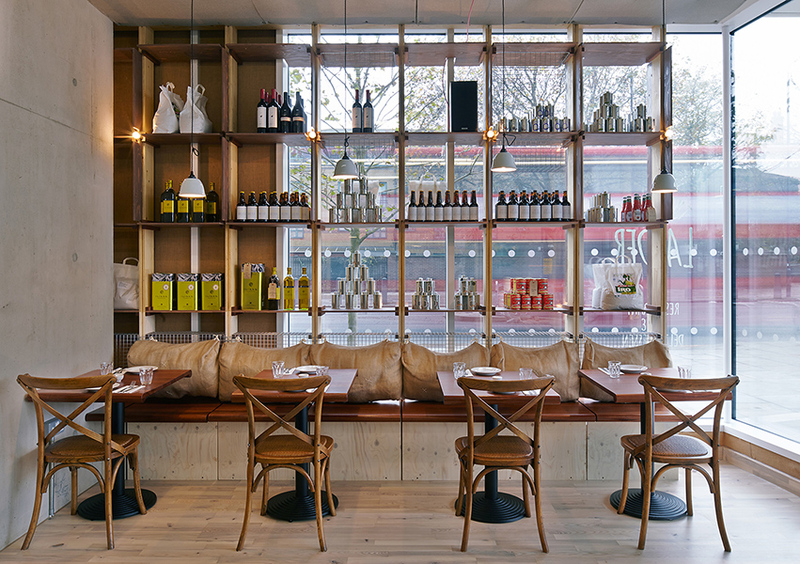 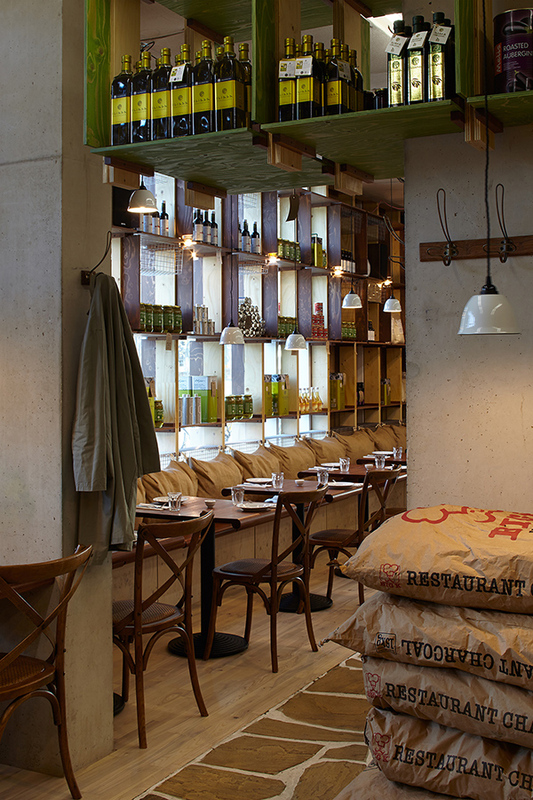 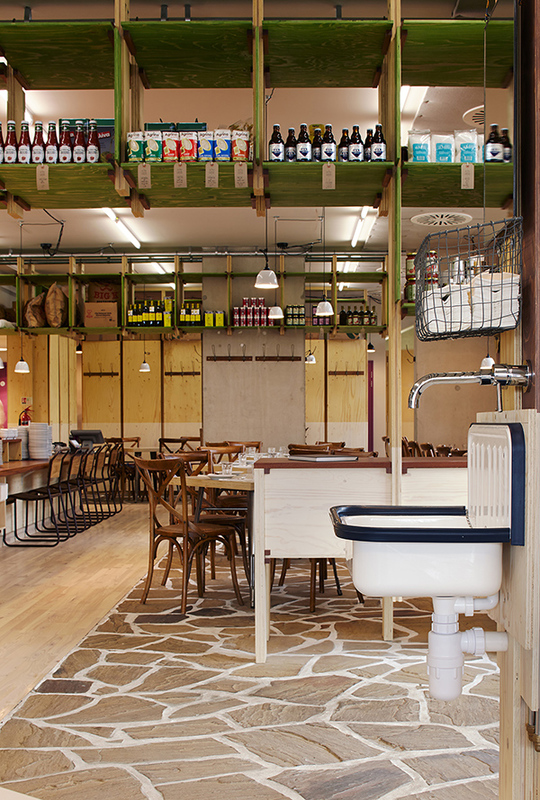 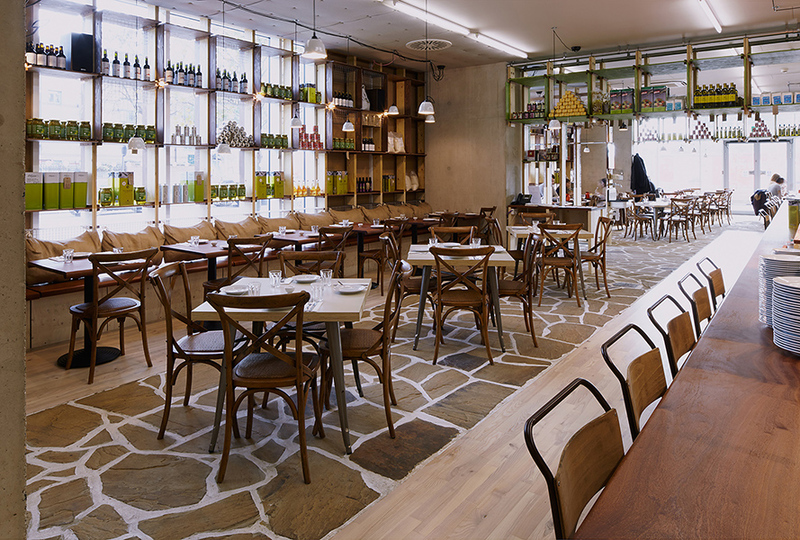 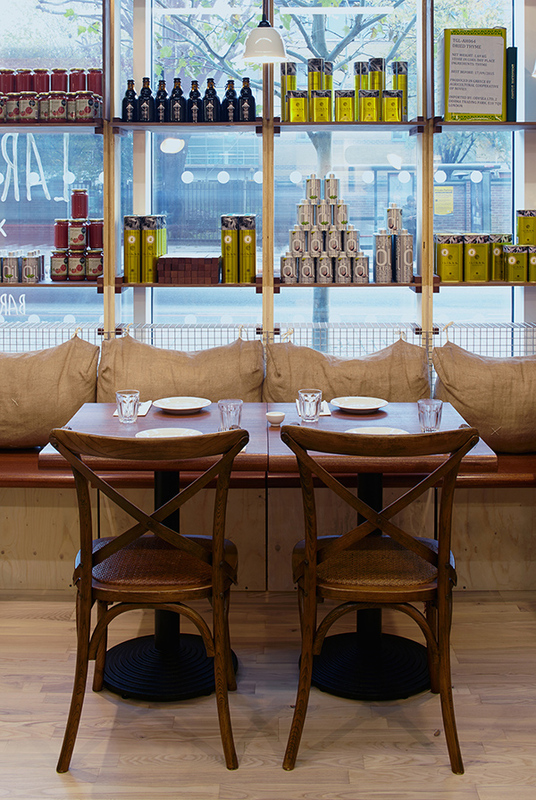 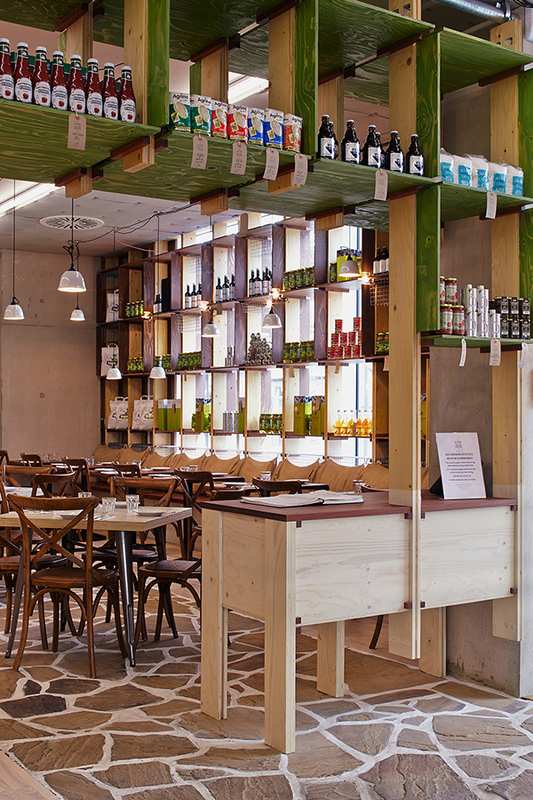 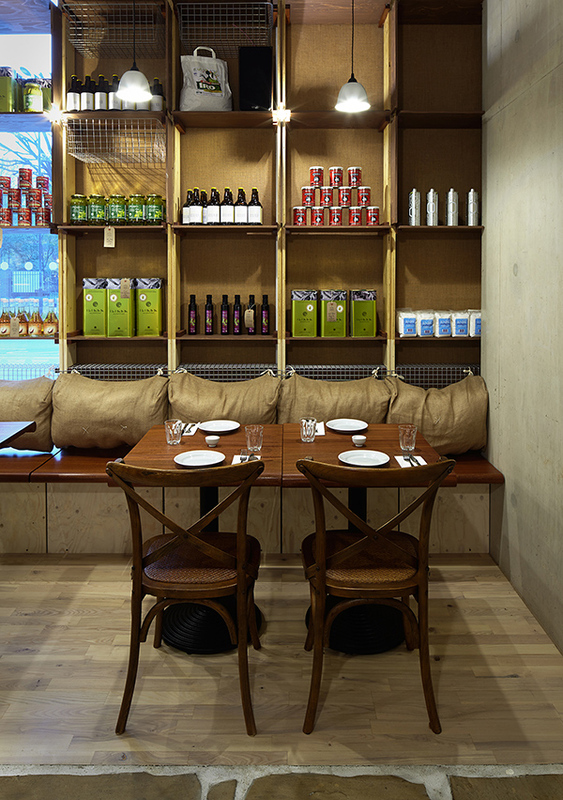 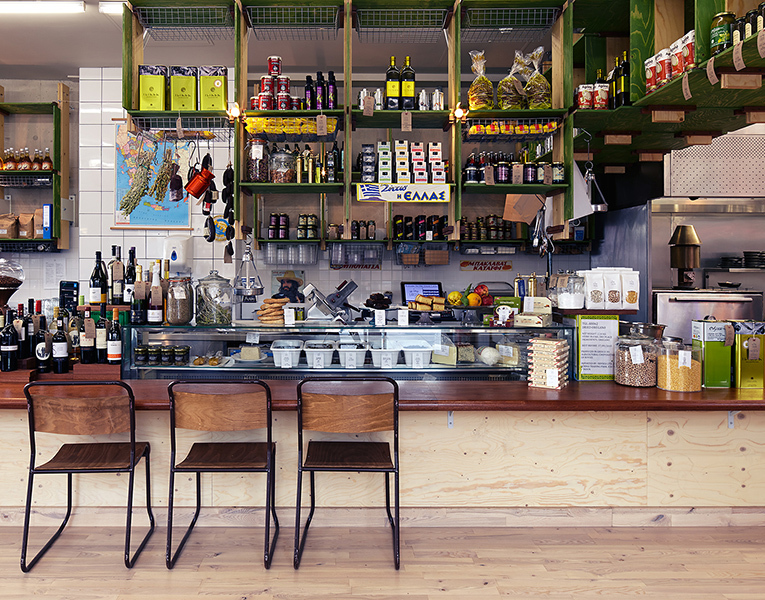 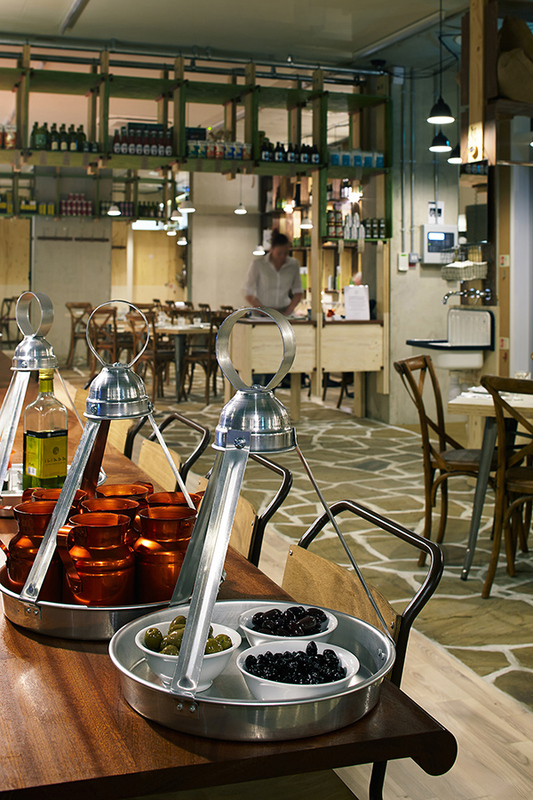 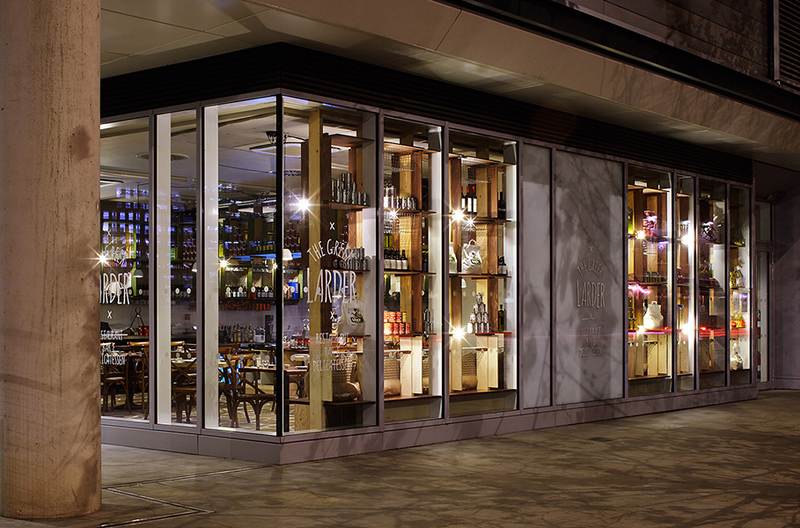 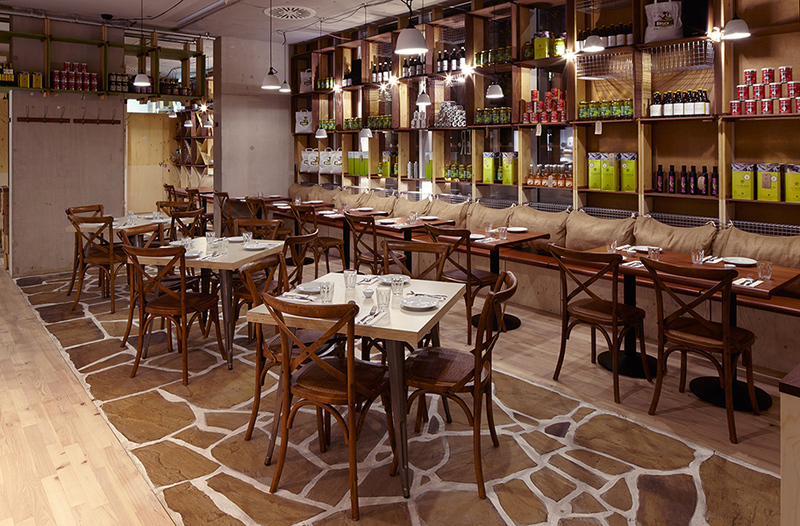 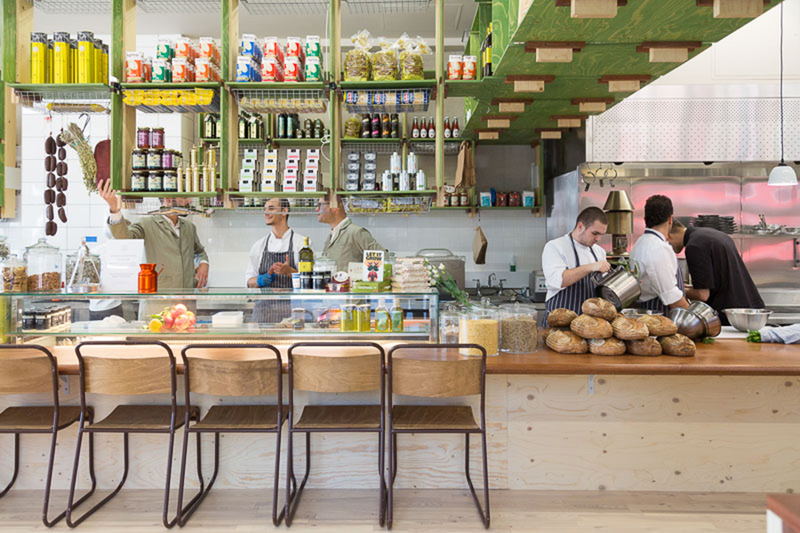 Now open seven days a week on York Way at London King’s Cross, this large canal-side room is both restaurant and delicatessen with a distinctive menu that captures tastes, flavours and the very essence of Greece and the Aegean. 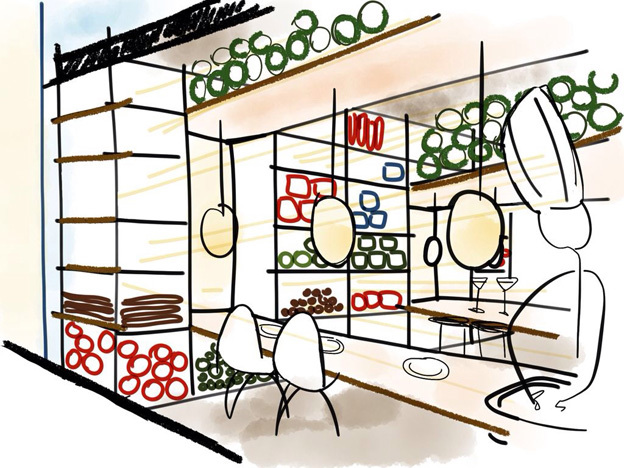 And a highly distinctive and relaxed interior design meticulously realised by SCABAL as a homage to Theodore’s father’s original ‘bakaliko’, a grocery store in 1950s Athens. 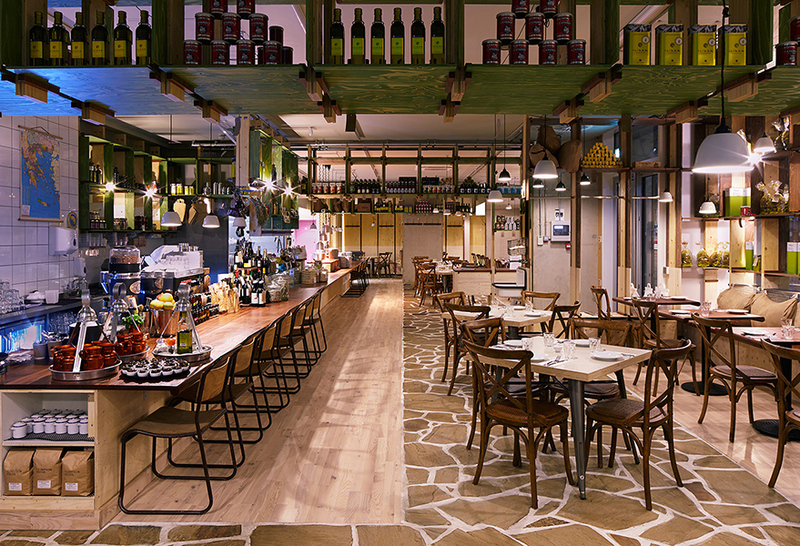 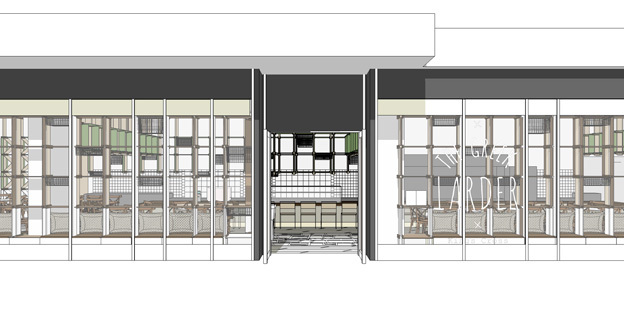 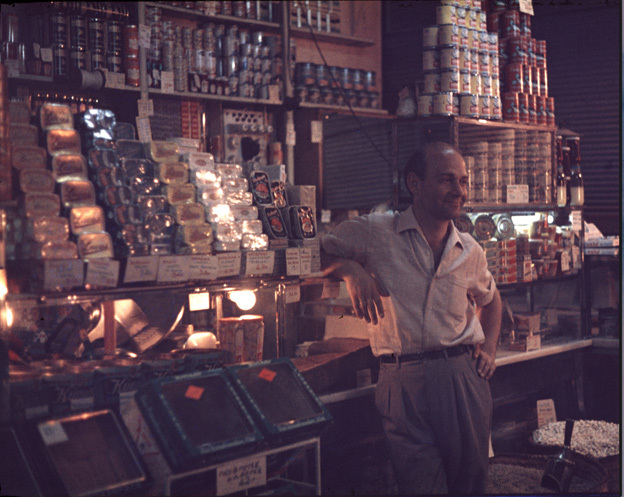 The convivial layout accommodates around one hundred guests, with elegant Doric dining tables nestling in walls of articulated plywood shelving laden with amazing produce from Greece with a single mahogany counter facing the long and open kitchen, all bursting with activity and fragrant atmosphere.